What Are The Late Effects? SurvivorVision’s® beginning is quite personal. 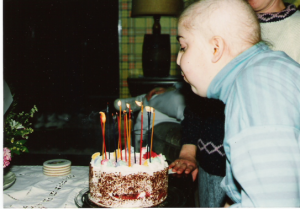 Founder, Julia O’Malley Stepenske, is a two time childhood cancer survivor and pediatric oncology nurse, who embraced her childhood cancer experience, which led her to found SurvivorVision®. Cancer provided Julia with the calling to care for the next generation of childhood cancer survivors. 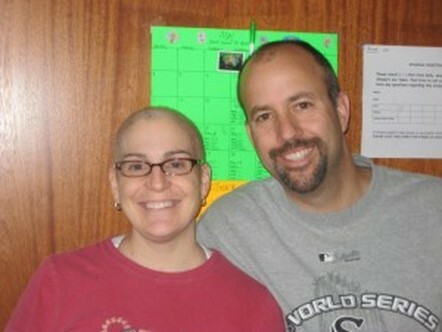 While pregnant with her second child, Julia’s cancer unexpectedly returned 19 years after it went into remission. Fortunately, she was diagnosed and treated quickly thanks to advances in cancer treatment and being a member of a childhood cancer survivorship program that helped her navigate life after cancer. Today, with the population of childhood cancer survivors growing at an unprecedented rate, the mission and vision of SurvivorVision® are more urgent than ever before. SurvivorVision® continues to make a difference in thousands of lives through funding for programs to enable survivors to lead the best life possible despite the odds. Knowing more about one’s history and treatment not only helps inform care providers, but more importantly, empowers these individuals to navigate the world as a cancer survivor-not a cancer patient. WHO DOES OUR CAUSE SUPPORT? Cancer Survivors / Thrivers looking for financial aide for college. When able SurvivorVision® is dedicated to providing grant funding to Survivorship programs and organizations that support Childhood Cancer Survivors. Helping survivors thrive and believe to move forward with their lives.